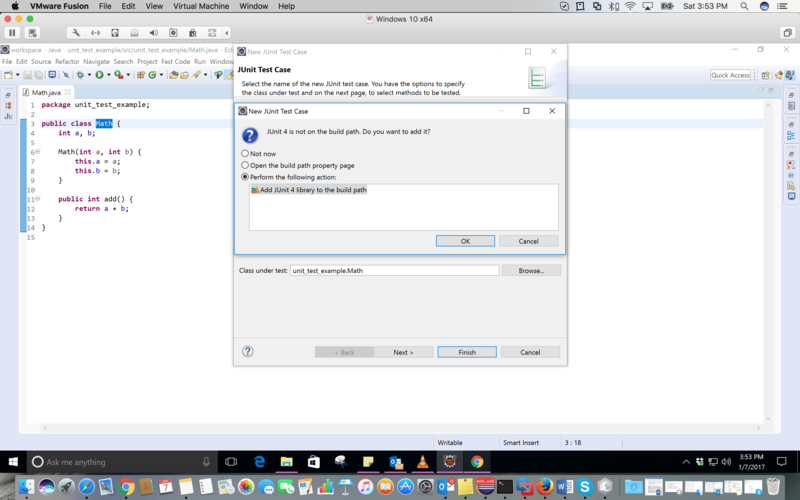 How to write a Unit Test? Define the expected and desired output for a normal case, with correct input. 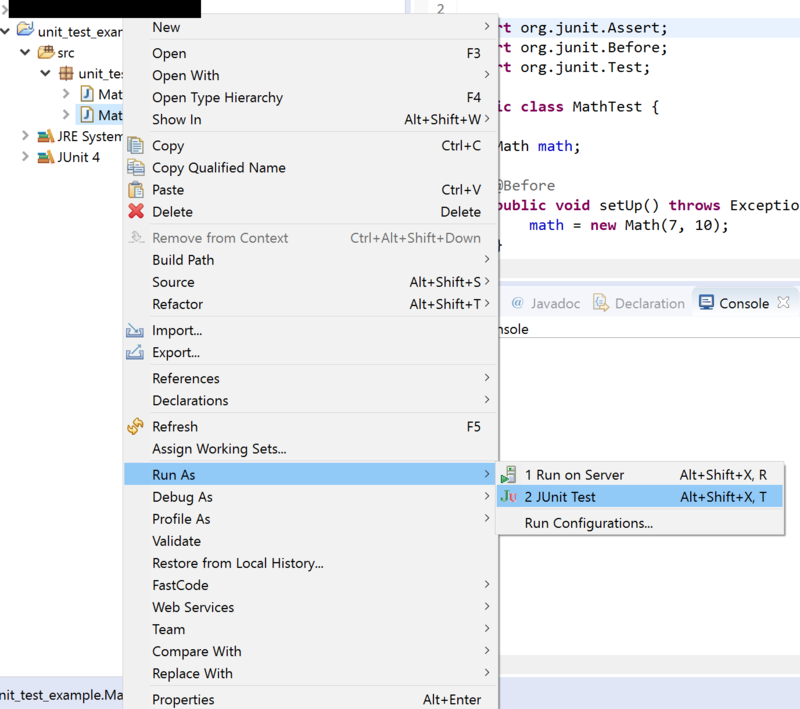 Write a method, and above it add the @Test annotation. 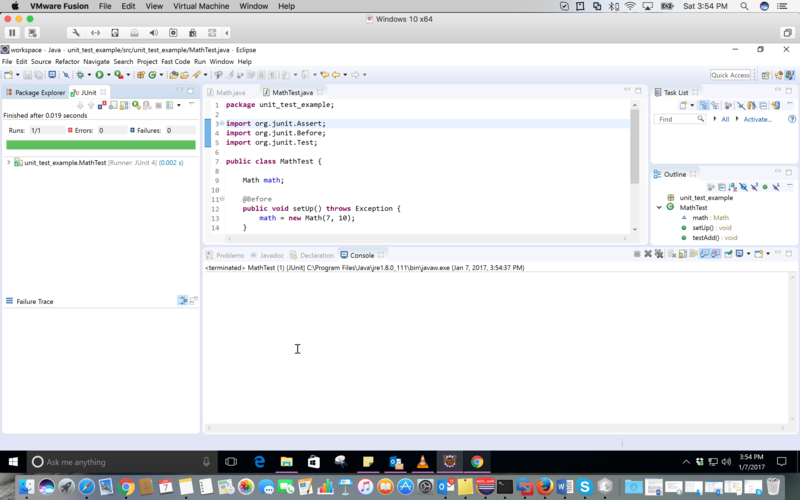 In the method, run your binary sum and assertEquals(expectedVal,calculatedVal). 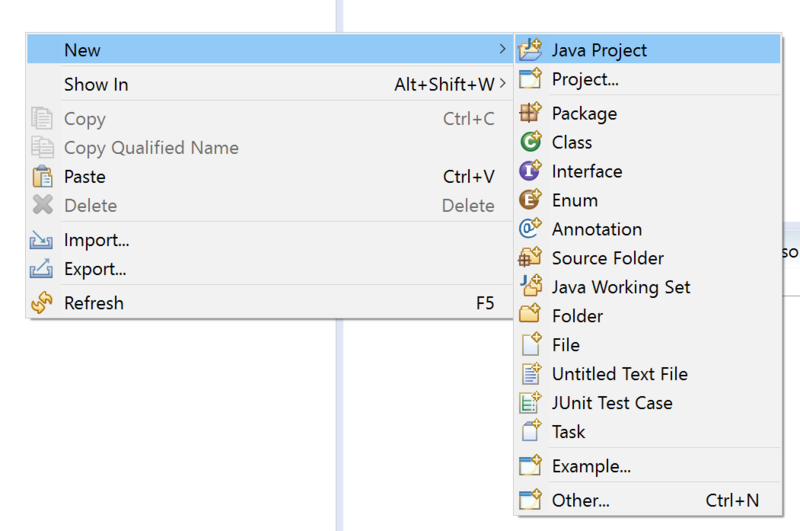 Test your method by running it (in Eclipse, right click, select Run as → JUnit test). Add other cases as desired. Test that your binary sum does not throw a unexpected exception if there is an integer overflow. Test that your method handles Null inputs gracefully (example below). //if you are using 0 as default for null, make sure your class works in that case. 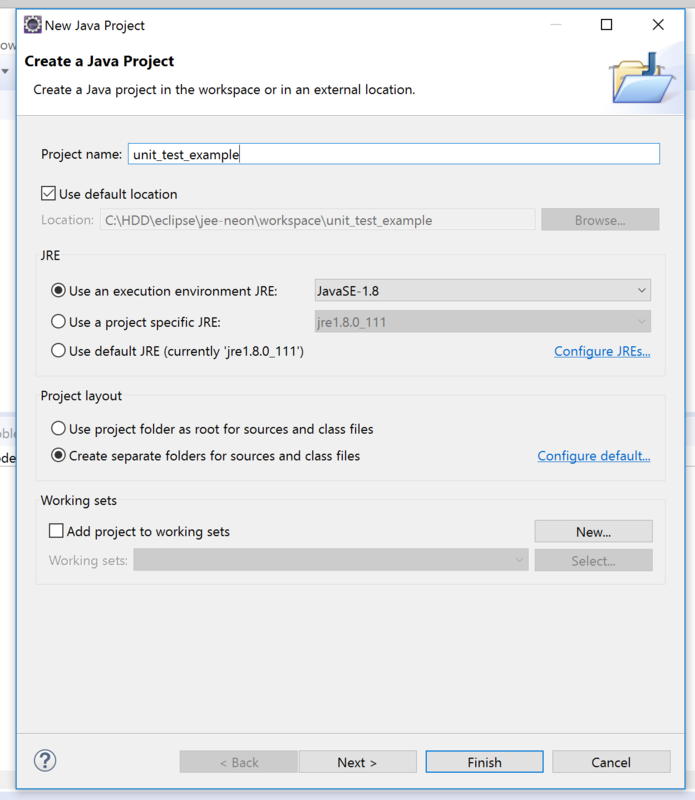 1- Click on New -> Java Project. 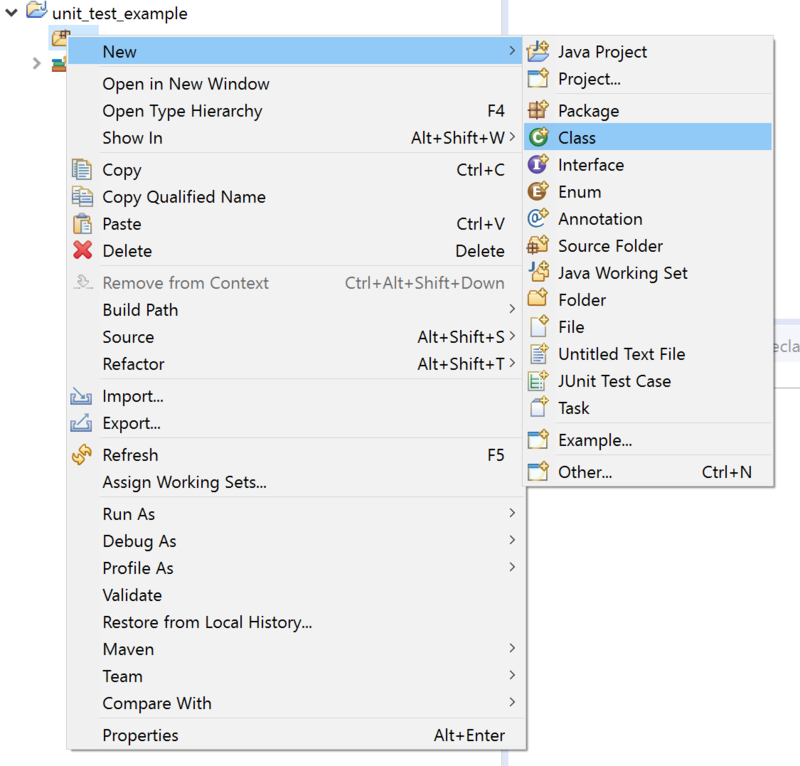 2- Write down your project name and click on finish. 3- Write click on your project. Then, click on New -> Class. 4- Write down your class name and click on finish. 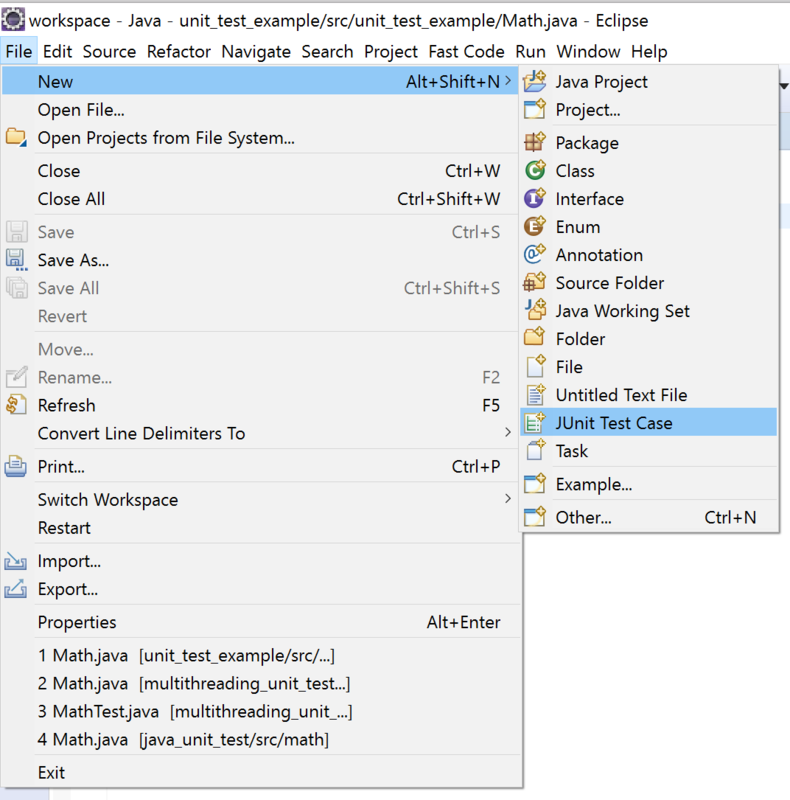 5- Click on File -> New -> JUnit Test Case. 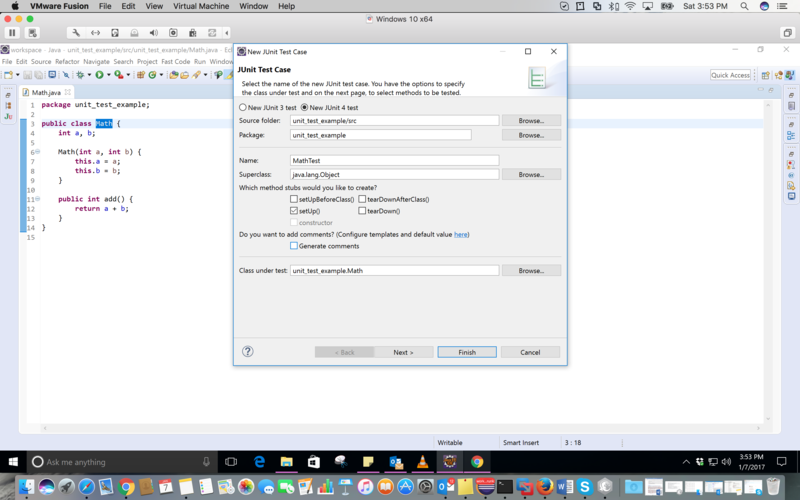 6- Check setUp() and click on finish. SetUp() will be the place that you initialize your test. 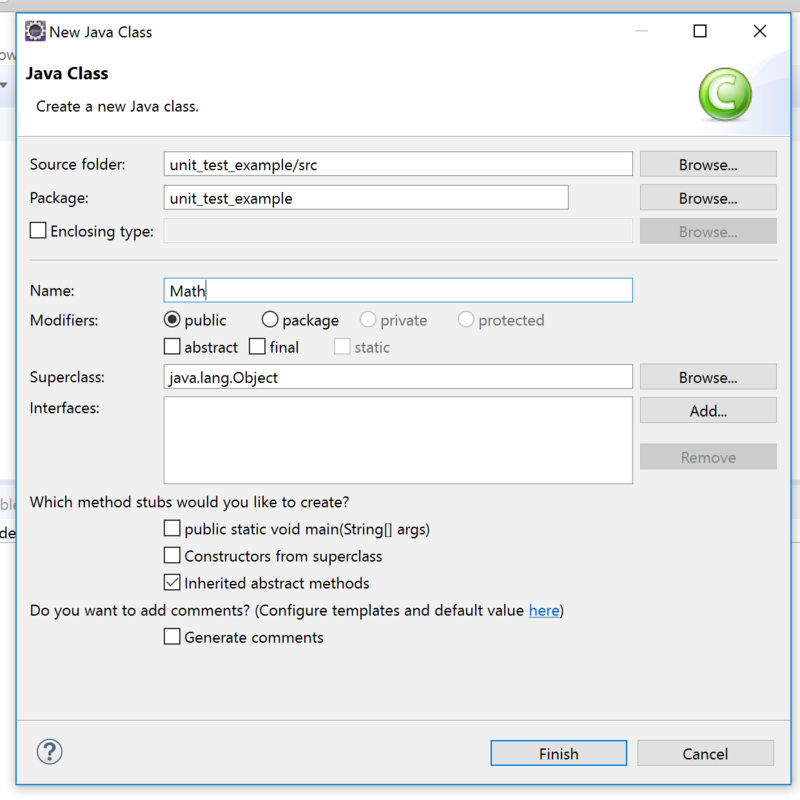 9- Write click on your test class in package explorer and click on Run as -> JUnit Test. 10- This is the result of the test.